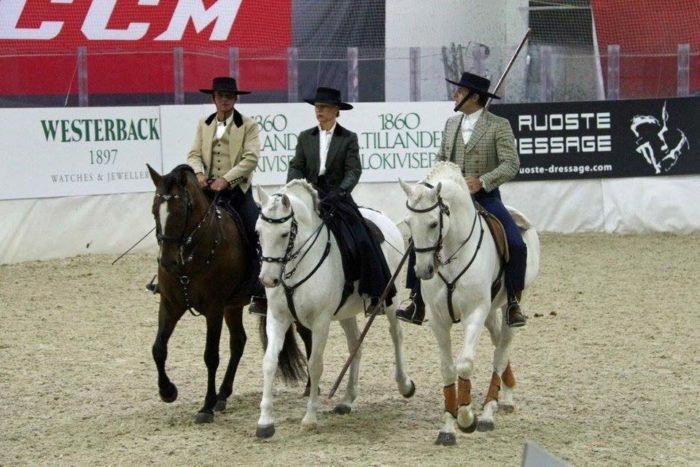 It was a great honor to be invited to represent the Lusitano Breed at Helsinki International Porsche Horse Show by the Finnish Lusitano Association (FIAL). 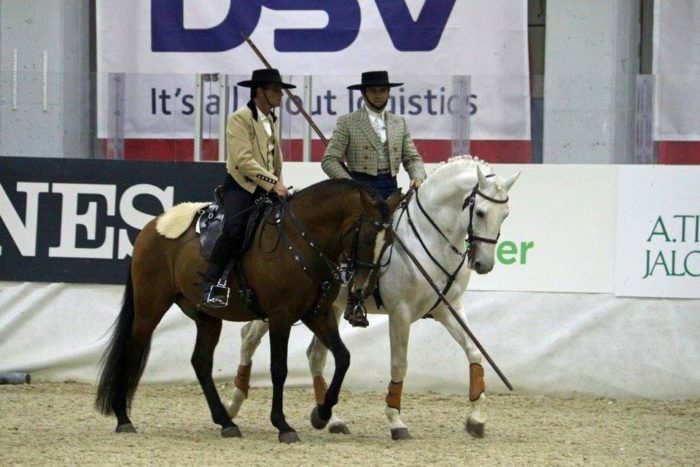 FIAL was founded in 2003 with the purpose of promoting the Lusitano and support Finnish Lusitano breeders and has been recognized by the central Lusitano association – APSL – since 2013. 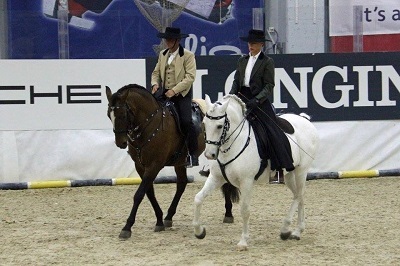 FIAL was invited to present the Lusitano horse at Helsinki International and chose to ask me, Miguel Fonseca and Mari Faria Carvalho if we would put together a small show. We were of course happy to do it and had a really nice time. See photos from the repetition and video from the show below. Rodrigo Matos with Alcaide, Mari Faria Carvalho with Tim Tim and Miguel Fonseca with Bergantim das Arribas. 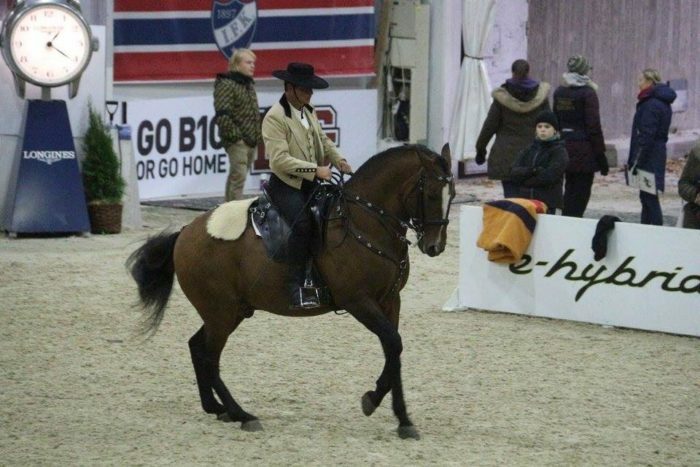 All photos including featured and video kindly provided by Kirsi Helenius, thank you.